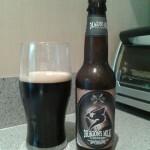 Nice clean dark malt aroma, nothing overly sweet or “black licorice-esque” like a lot of these can be. 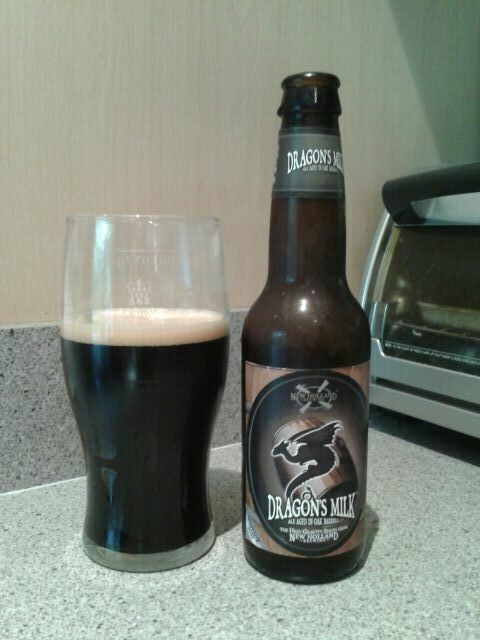 Nice even grain flavor with no harshness, with a minor dark malt aftertaste that lingers slightly. Good hop crispness that cleans the palate but stays out of the way. This is from their 2015 seasonal, drank on 12/23/2015, well before the best by date of 05/06/16. Having had this on tap before at the bar, I know these go down really well and you don’t have any idea of the 9% ABV, until you feel your head buzzing a bit. Nice clean aroma with a hint of raspberries. Slight edge of bourbon flavor that gets replaced by dark malt, and then a nice raspberry flavor comes in. Overall very balanced 3-way tug-of-war going on between bourbon, dark malt, and raspberries. You can feel the alcohol heart in the aftertaste, slightly lingering in the back of the throat. I think I would like it more of there were less bourbon presence, and it was just the dark malt and raspberries commingling. Bottled 10/05/15, drank on 10/29/15. Nice sweet bourbon aroma but not harsh at all. 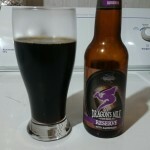 Taste is very pleasant with nice dark malt flavor but no harshness. This is slowly followed by a slight wooden barrel flavor that gives way to a moderate chili kick. Slight alcohol warmth in aftertaste, mixed with chili heat. Great stuff going on, distracting you totally from the 11% ABV. Strong coffee aroma. 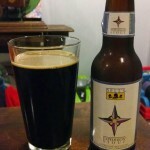 Somewhat crisp taste, like the cocoa is subduing the dark malt flavor. After that initial taste you get an alternating mix of dark chocolate and coffee flavors. Aftertaste is mostly coffee but with some hints of the alcohol level. Label says release #10, which according to website was brewed on August 24, 2012 and I’m drinking it January 14, 2015. Says first aged in whiskey barrels them bourbon barrels. Bitter sweet aroma. Bitter taste of harsh dark malt, with sweet aftertaste. Drank on 5/15/14. Packaged 1/18/12. Very sweet smell, makes your nosebuds pucker- if that’s something that can actually happen. Can smell hints of the bourbon barrel. Taste initially is slightly harsh, but the mellowing effect of the barrel kicks in and smooths out out. Leaves a slight bourbon/malt aftertaste. Not too strong of bourbon, but if you can’t stand it you might want to avoid this one. 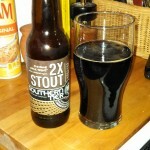 Double milk stout by description. Sweet, dry aroma with hints if dark malt flavor waiting. 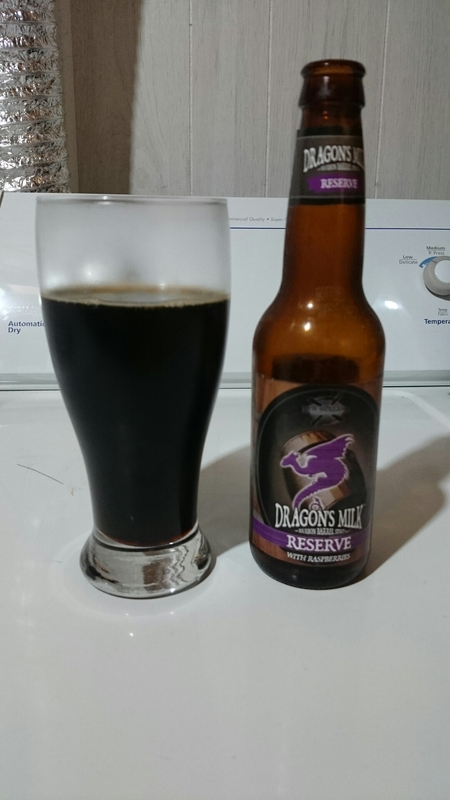 Sharp sweet taste, immediately followed by a very strong dark malt flavor. Malt flavor fades out slowly. Street hitting hard and sweet up front, the dark malt comes in and balances out fairly well. You don’t really notice the high alcohol content. 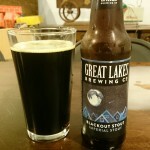 Dark sweet aroma with bourbon hints, but not overpowering at all. 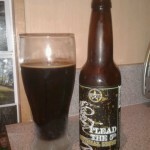 Sweet, dark, slight bourbon taste, very well balanced. 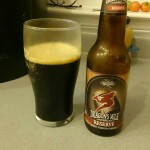 Finishes with that dark sweet taste lingering a bit before being replaced by a dark malt taste. Delicious, but you have to be in the right mood. Perfect for today’s overcast weather. Bottled on 10/12/13, I drank it on 11/17/13. I’ve read about people cellaring this and such, but I must say it’s delicious one month after bottling. Pours out of the bottle like dark used motor oil out of an engine. Sweet, slightly barrel aged” smell. Sharp but thick taste of a very high alcohol stout. 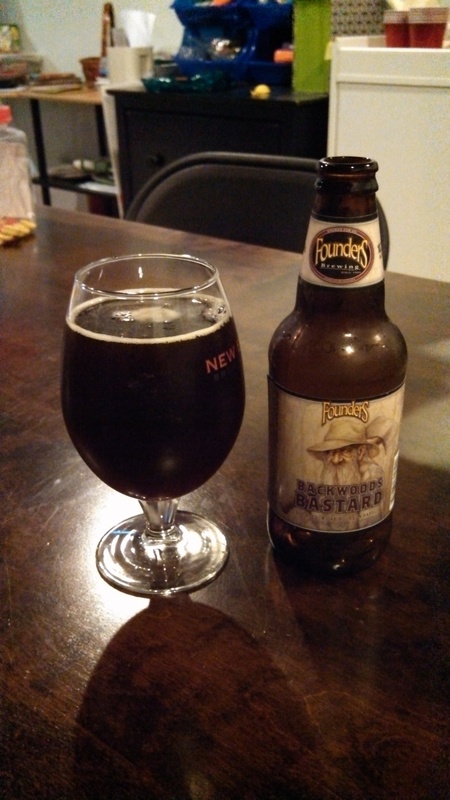 Finishes with a slightly sweet dark malt taste and a minor burn like you just sipped a teaspoon of bourbon. In the end, a bit too harsh and “raisin-y” for my taste. Very thick, rich aroma. Flavor has a very sharp bite (90 IBU according to the bottle). 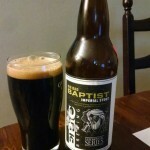 Then has coffee hints which fade off to a strong hop and roast malt flavor. Kind of leaves a chocolate flavor in your mouth, but a dark chocolate flavor-not a milk chocolate.